The farmers in Wadi Qana have a long list of problems the settlements have caused. In addition to loss of land, many of the settlers use the valley for hiking and biking. As often as not, they come out armed with assault rifles. The Israeli military has also bulldozed olive and lemon trees in key places. The farmers in Wadi Qana have a long list of problems the settlements have caused. In addition to loss of land, many of the settlers use the valley for hiking and biking. How will Palestine benefit from joining international environment group? 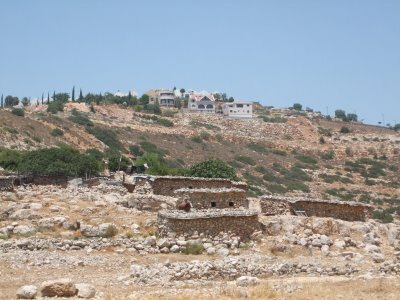 In late 2013, the Israelis had confiscated large areas of Wadi Qana, which they had designated a nature reserve, to facilitate the expansion of the Yakir settlement. They also said Israeli settlers pelted Palestinian-registered vehicles with stones along the Wadi Qana Road between Salfit and Qalqiliya in the northern West Bank. Al-Quds added, in this regard, that forces uprooted olive saplings in the Wadi Qana area, west of the Salfit village of Deir Istiya.